“The companions of the Prophet (pbuh) knew of the reward of being the first ones to say ‘Assalum ‘Alaykum’ to someone. The Prophet (pbuh) has said that the one who says Salaam first gets99 thawaab although it is mustahab, and the one who replies gets 1, even though the reply is wajib. However, the Prophet (pbuh) was always the first to greet them. This time, the companions though they would beat him to it. As they saw the Prophet (pbuh) approaching, they hid in the doorways of the alley towards which he was coming, hoping that as soon as he came they would surprise him and greet him first. * Using this story, we can encourage our children to compete with us and others in saying Salaam first! Why not have a trial right now?! * This doesn’t have to stop in school…why not encourage them to be the first to say Good Morning to their teacher, or hello to their friends? * Why not make an Arts and Crafts activity based on this? 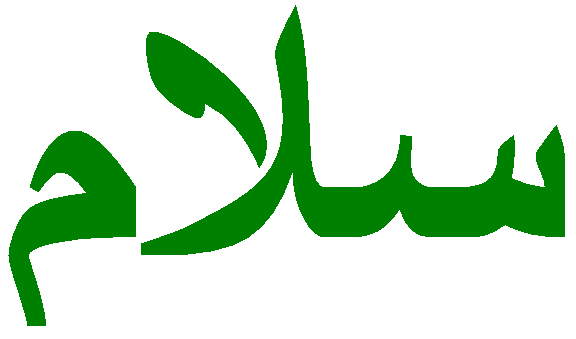 Maybe a hand cut out with the Arabic on one side, and the meaning on the other? * This clip below is fun to watch and will help convey the importance of Salaam as well! Please do share if you tried this and if you had any other ideas!